Ok, so when there's a frost overnight, and then the day-time temperature stays below zero, and then there's another frost overnight, and then the day-time temperature keeps on keeping on...this magical thing happens: the frost builds up, like sugar or crystals or crushed..or something..
And it is beautiful. 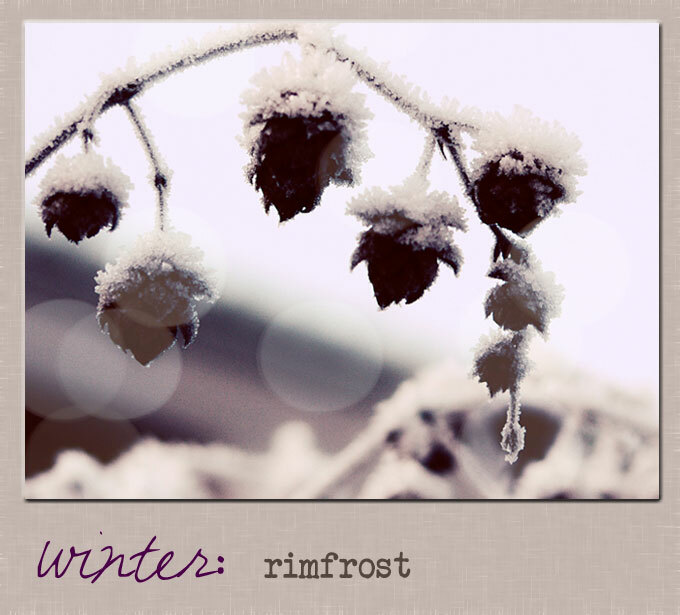 And it is called rimfrost. And well, it's actually quite breathtaking. Although now that I think about it, the whole breathtaking thing may actually be a result of the sub-zero temperature. I'll think about it some more and get back to you.